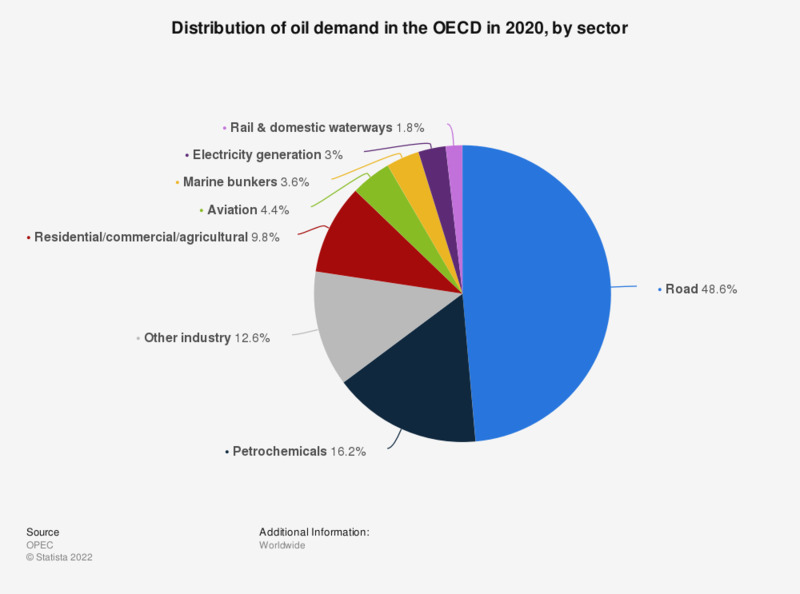 This statistic shows the distribution of oil demand worldwide as of 2017, broken down by sector. In 2017, approximately 50 percent of the global demand for oil was attributable to the road transportation sector. Thus, this is the sector with the world's largest demand for oil. Figures have been calculated based on total figures, which were represented in million barrels per day.